With the new school term starting in September we all need to start thinking about back to school essentials. With my son Mister B starting school for the first time he is rather nervous and unsure as to things ahead so I think it’s nice to do things to make him feel more comfortable and a bit more grown up now that he will be a school boy. 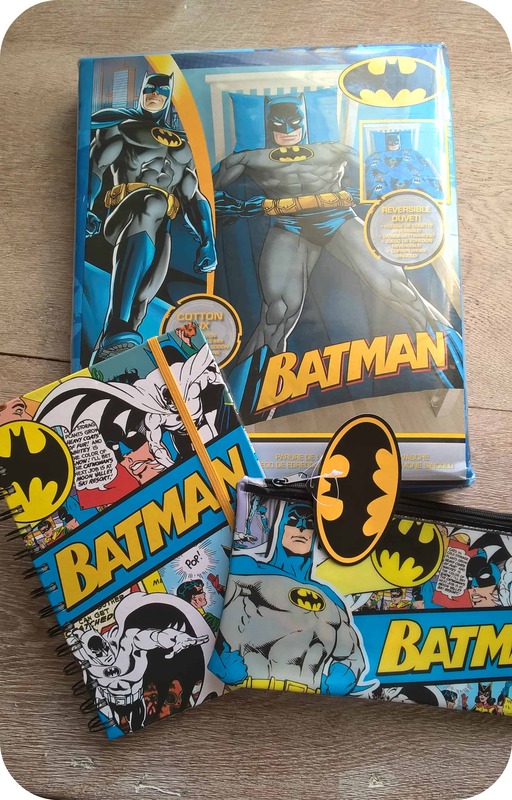 He’s a bit superhero fan so I think these Batman accessories will be great to give him encouragement to try his best at school. 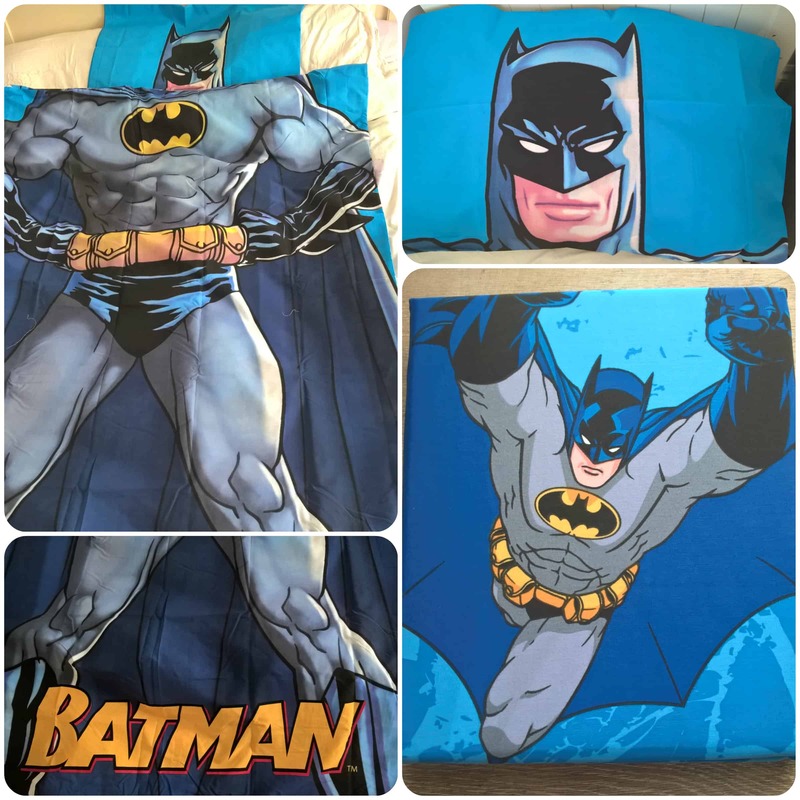 The Batman duvet cover is the perfect accessory for his bedroom to encourage him to have an early night before school. Hopefully he’ll want to go to bed rather than try to stay up! This is a fabulous duvet cover with a full size batman on one side, with the Batman’s head being on the pillow. This means that when Mister B is in bed it’ll look like he’s got Batman’s body. I love that this cover is double sized with the reverse having lots of smaller flying Batman’s as per the one on the bottom right of the picture . The notepad and pencil case are both great quality. The pencil is ideal for putting just a couple of pens or pencils in to take to school in his book bag. The note pad is hardback and spiral bound. I like these pads for young children as they don’t need anything else to lean on, and the spirals mean the pages stay open. This will be great for Mister B to practise his writing in. 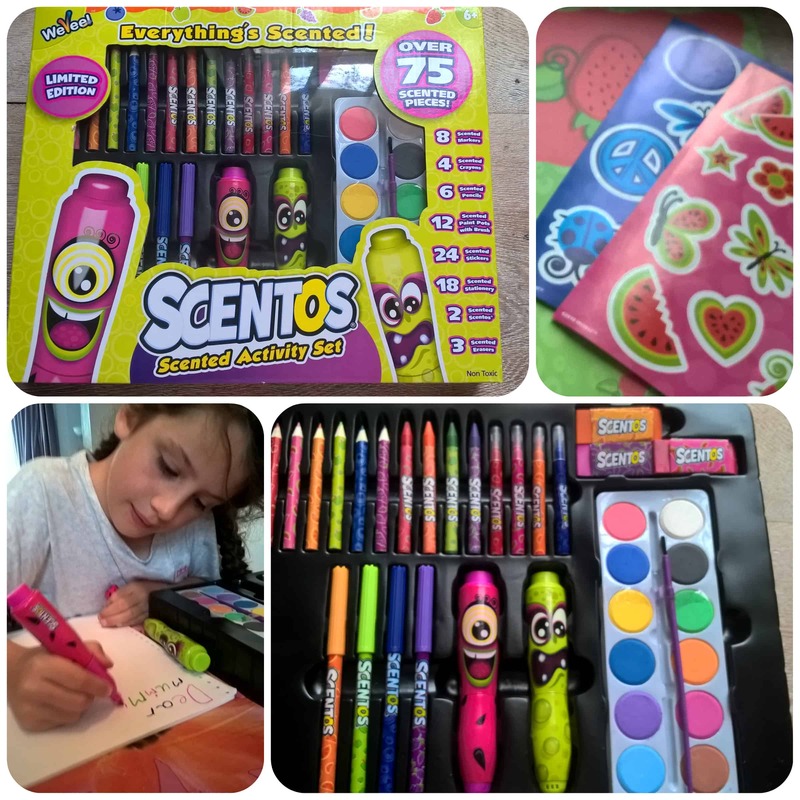 Scentos are an exciting new range of kids stationery in which every item is scented! Miss M who is 7 fell in love with this instantly. She couldn’t wait to get stuck in writing a letter for mummy and making Nanny a birthday card with these. The set is comprehensive and contains over 75 scented pieces all flavoured with fruity scents including blueberry, watermelon, grape, apple, orange and strawberry. 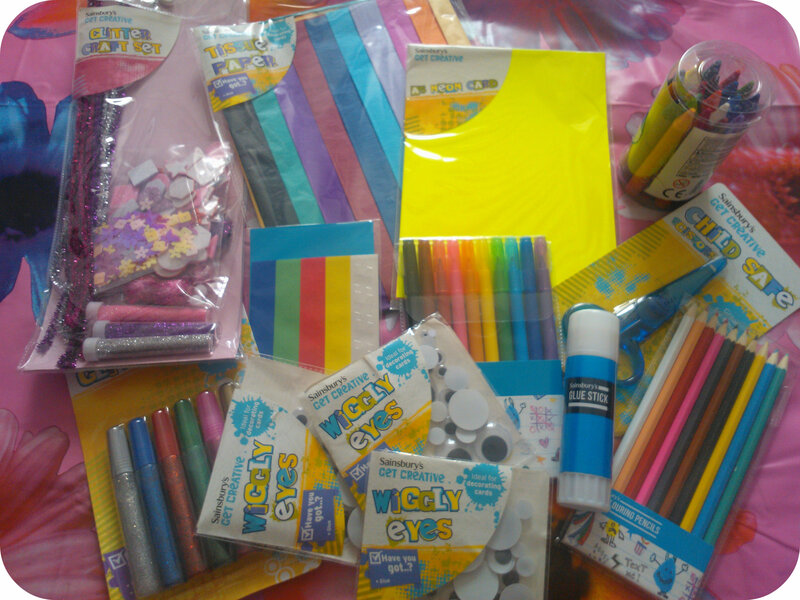 With the set consisting of pens, pencils, erasers, markers, paints etc there really is a great choice. The highlight for Miss M was the two large size chunky markers that really captured her attention and the first she chose to use. I also like this set because it contains 18 pieces of fruity designed paper and stickers which really add to the set and mean a child can use it all right away! I envisage this set coming out when we have homework to do that involves drawing and craft and also other craft activities at home. It certainly helps a child to be creative and I’m sure Miss M will pick a few pieces to add to her school pencil case and love showing her friends the different scents of the pencils and erasers! Everyone needs a water bottle be it at school or at work and I have to say that this new Fill and Go Filter Water Bottle from Brita is perfect. Although initially I was going to let Miss M try this in preparation for back to school, although after seeing it, I decided it is just the thing for my desk at work. I’m not keen on tap water so prefer either bottled or filtered and this is perfect for on the go. It is a refillable water bottle in which you insert a mini filter, and this filters the water as you drink it. The bottle is slimline and stylish, I like the clear outer to the bottle. 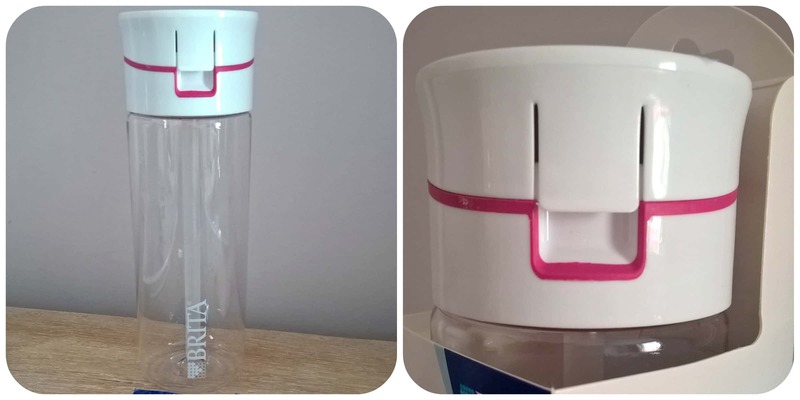 It holds a total of 600ml and has been designed to fit into cup holders. There is an included straw which can be removed if you wish to use as a tip up bottle. 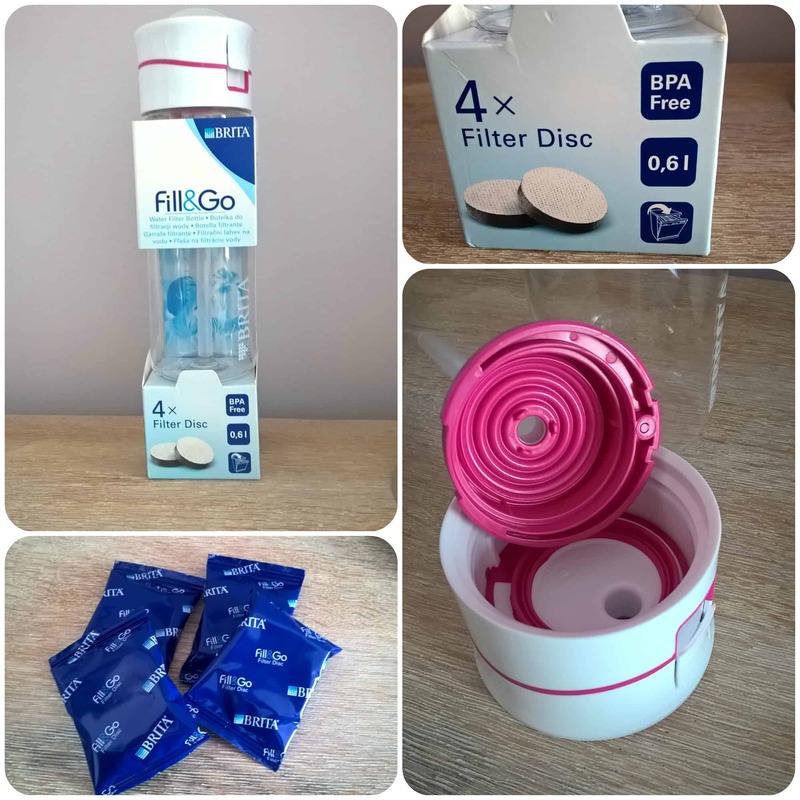 The filters are recommended to be changed weekly and refills can be purchased although four are included with the purchase of the bottle. I’m really loving this bottle and think its a great idea, and will appeal to people whether at school, college, work, gym or just out and about for the day. 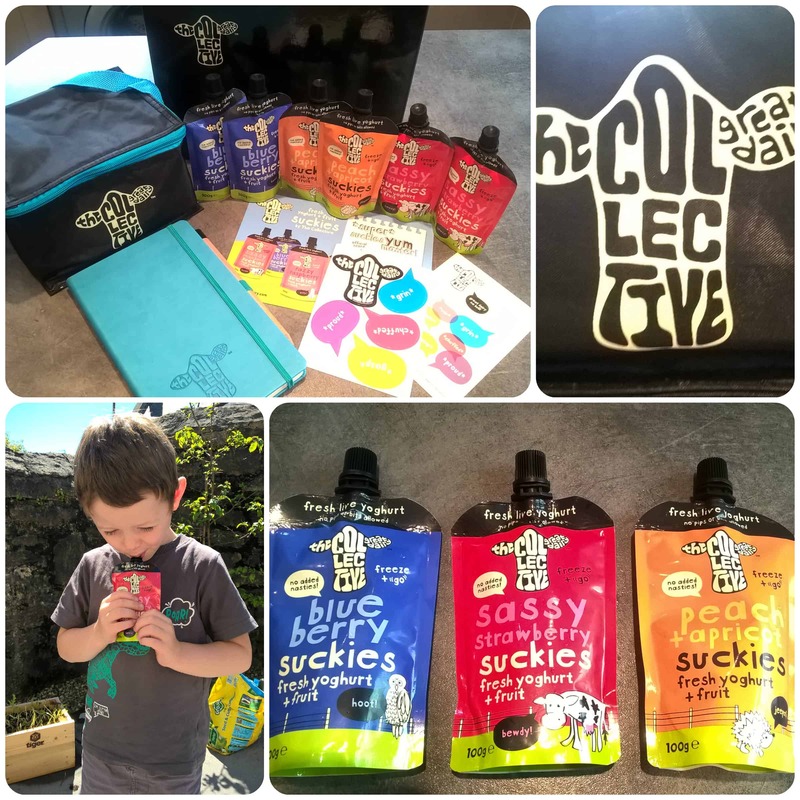 Suckies fromt The Collective Dairy are a gourmet yoghurt brand that as well as selling tubs of yoghurt, have produced a range of live yoghurt pouches for children. The fresh yoghurt contains no nasties, no colours, no artificial flavourings, no preservatives or pips and bits! It comes in a choice of four flavours, Sassy Strawberry, Blueberry, Raspberry, Peach & Apricot. 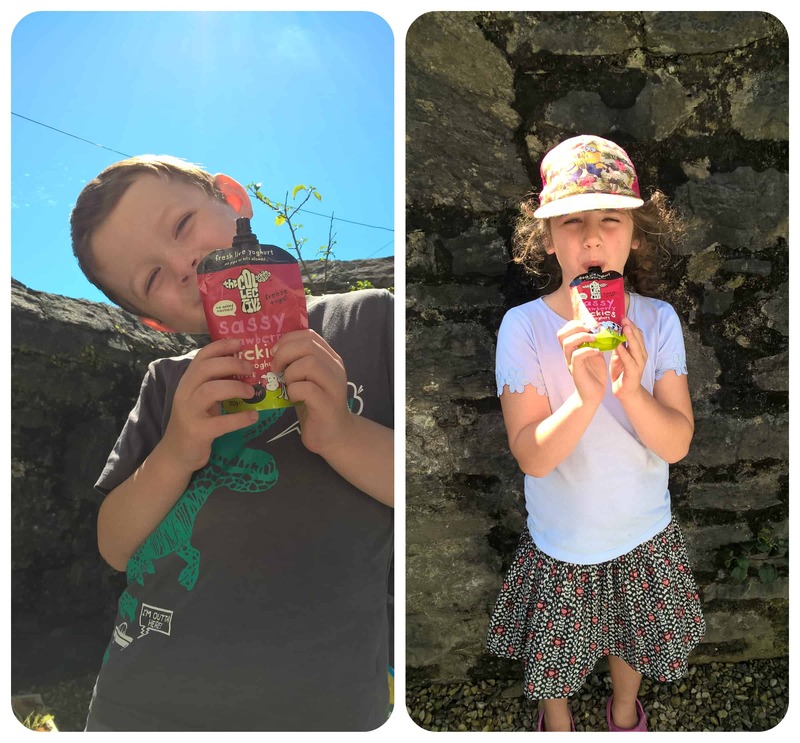 They come in 100g pouches and are designed for children of all ages, which means they are ideal for pack lunches and days out. A top tip is to put these into the freezer so that by lunchtime at school the children have a cold yoghurt to eat rather than one that has gone a bit warm. They have a screw top which I like as I know my children struggle with the tear across pouches, and it also means if they don’t want it all they can save a bit for later and replace the lid. So what did my children think of them? Well they loved them! In fact Miss M’s first words after drinking one was, “that was amazing, can I have another one please?”. They particularly love the strawberry flavour as that has always been their favourite yoghurt flavour, but equally they loved the others and would be happy to drink any flavour again. One thing I dread when the children are due back at school is the slip of paper that comes home on a regular basis warning me that a case of head lice has been found in the class and to be extra vigilant in checking my child’s hair. 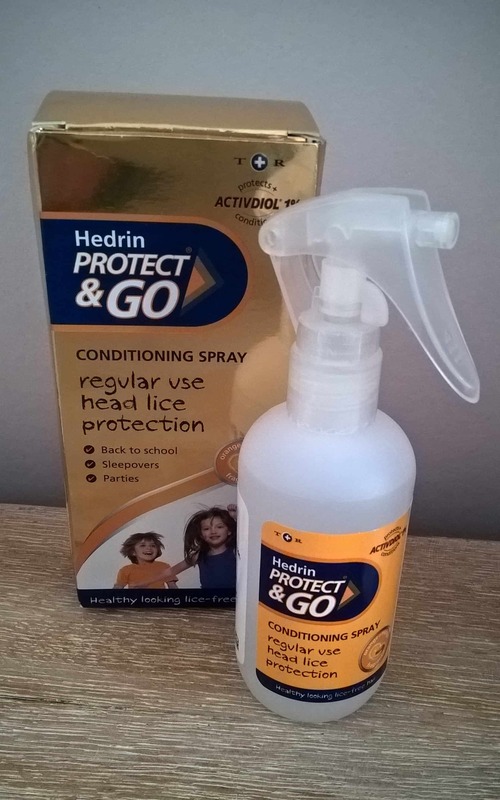 This Protect & Go spray from Hedrin is the perfect solution. This spray is great for my children as they hate the traditional head lice lotions and don’t enjoy me combing through their hair looking for lice. With this spray you can use on either wet or dry hair at least twice a week to help prevent head lice. The spray will disrupt the life cycle of lice and prevent infestations. It has an orange and mango scent which although quite strong is pleasant and giving the kids a spray after shampooing is easy to do. I’ll be using this week from the start of term in hope that we don’t see the dreaded lice this year. I think for such an easy to use preventative it’s worth doing and saves any hassle in the long run. Great Gizmos sell a wide range of children’s toys and gifts, and have a lovely selection from the brand NICI, of which we were sent a few items to try out. I could immediately tell all the items are of a high quality, well made and look good so I was keen to get the children to try them out. 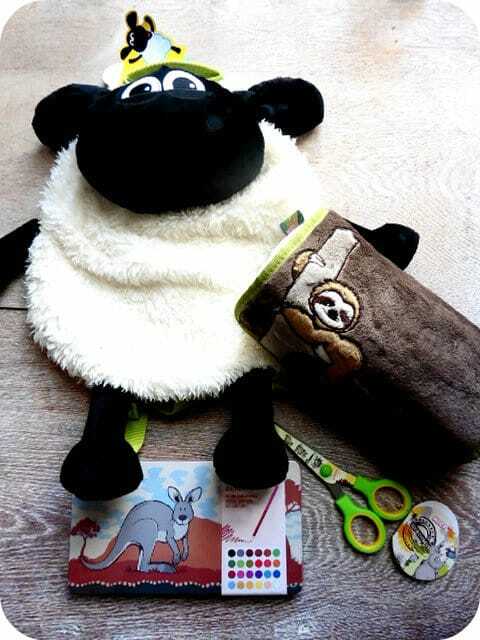 We received a Timmy the sheep backpack, sloth pencil case, coloured pencil tin and child size scissors. 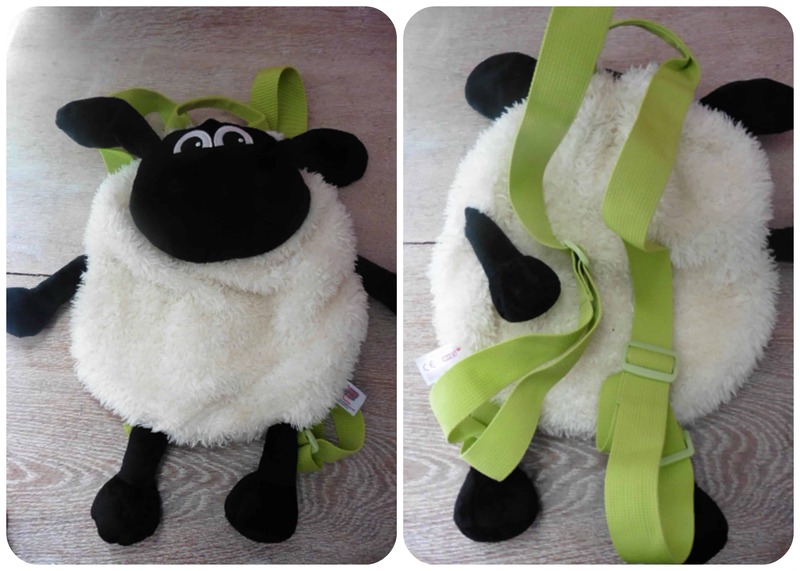 The Timmy backpack has been a huge success in both it’s softness and likeness to a cuddly toy as well as it’s usefulness as a bag. Both my children loved this and decided to take turns each day in using it. Miss M above is modelling it and you can see it’s a medium size bag and Timmy’s head lifts up to get inside. It fastens with a strong magnetic button that keeps everything secure inside. The straps are adjustable and are a lovely bright lime green colour. 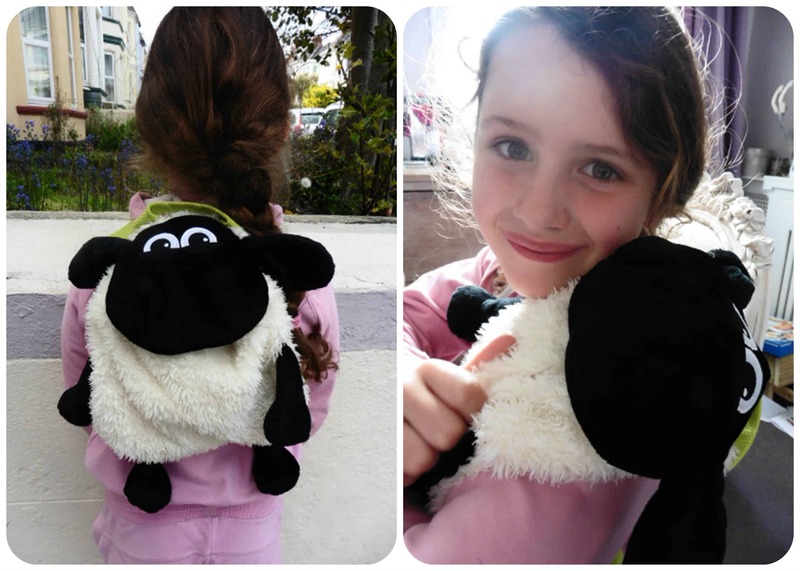 The bag itself is exceptionally soft and my children loved cuddling it when they were out and about in place of a cuddly they would use at home. This bag has been a hit with my two and has even been on it’s first trip to France and was great to carry a few useful items in. 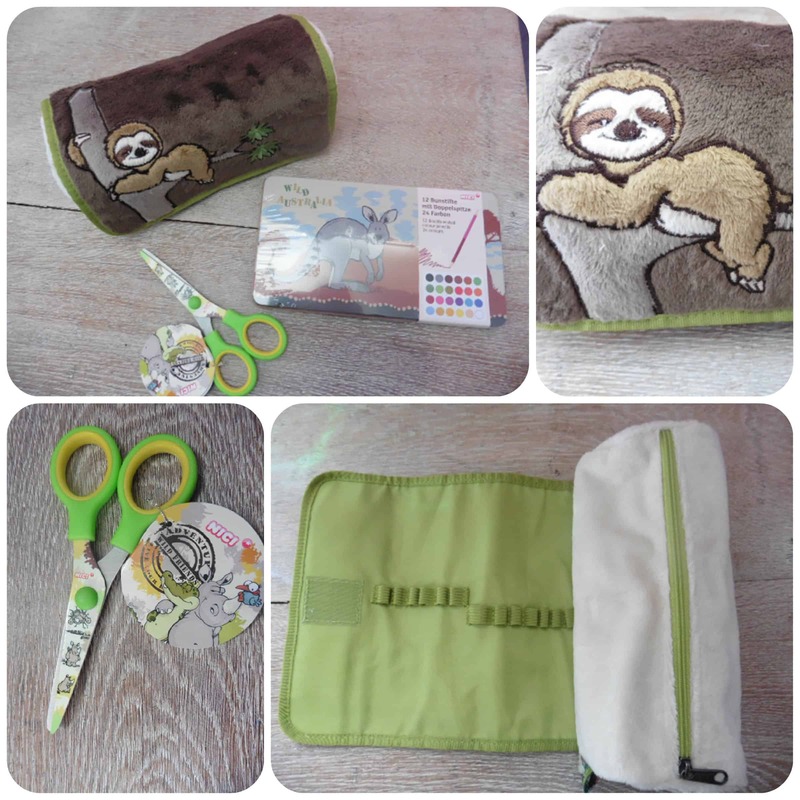 The Sloth pencil case is lovely, one of the most luxurious pencil cases around. It feels so soft to the touch and has a really cute sloth on the outsdie. Inside the lid unrolls to reveal storage for a number of pens or pencils. You then have the main zipped compartment with plenty of storage inside for all your other stationery items. The scissors are cute with a wild animal theme and are sharp enough to cut well, but perfect for little fingers. My little boy has made good use of these as he loves to cut his pictures out when he draws them. 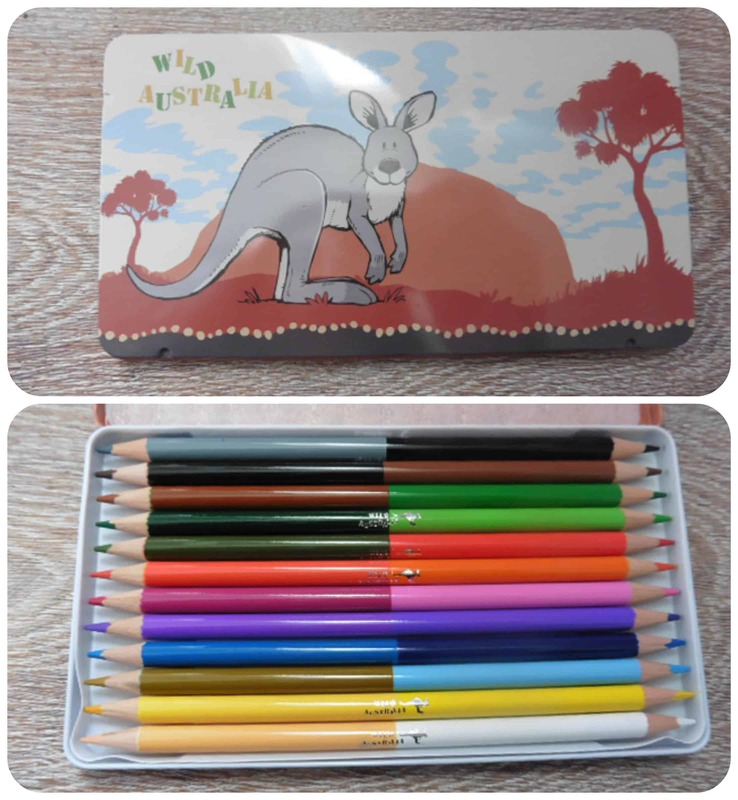 I just love the coloured pencils in the Kangaroo tin, how I would have loved these as a child! The ideal of them being double ended with two different colours in each pencil is fabulous and means you only have to carry half the amount of pencils around with you but still have all the colours! 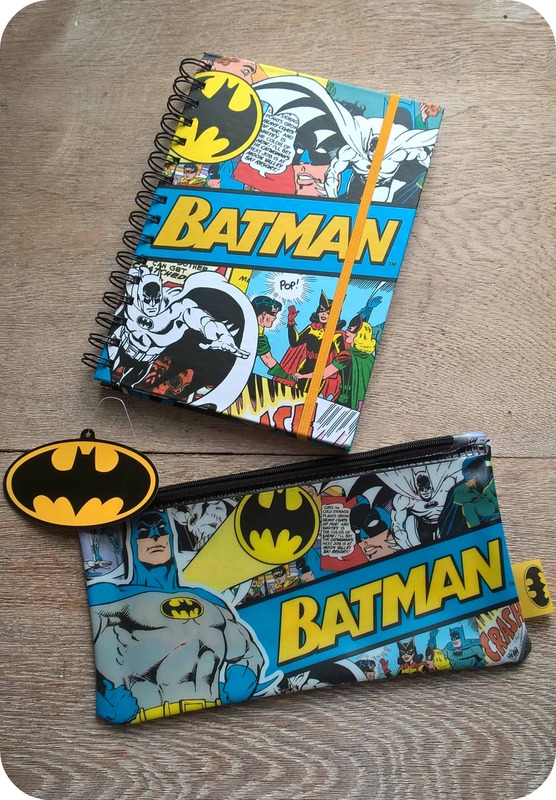 I think the NICI range of stationery from Great Gizmos is lovely and made to a high standard. They are a little pricier than other brands, but to be honest, you get what you pay for. I’ll definitely keep an eye out for other NICI products as I’ve been really pleased with what we’ve tried out here. Parragon have a fabulous new range out of Life Canvas stationery and I was lucky to received the Paris notebook and sticky notes in a tin. Also included in the range are note cards, little tin set, journal, magnet set and file folders amongst other bits and pieces. Their are also several designs in the Life Canvas range, including Paris, Wild and Butterflies. The pocket notebook is a delightful design with pretty pale pink pages and an Eiffel Tower stamp logo in each corner. The page are thick and easy to write on. The cover is sturdy and will withstand being carried in your bag, perfect for carrying round to keep notes in. There is also a pink elastic to pull around the front to keep the notepad closed. The sticky notes in the tin are so cute! With eleven different shaped sticky pads each with a Parisian inspired background, you can find the perfect shape for every occasion. The rectangular ones are perfect for marking a page in a book, the triangular ones are great for when you just need to write one word reminders and the squares are ideal for writing little notes to yourself. I love the way they all fit into a tin, keeping them all together and ready to use. I think these would make a lovely gift for someone. I love mine and keep them next to my laptop ready to use as I go about my day. A lovely stationery range from Parragon that any stationery fan will adore! All reviews are my own and my family’s opinions and we received the stationery in order to write the review. With the summer holidays underway and two children to keep entertained, I’m also on the look out for things to do, whether it be days out, trips to the local park, or activities to keep the children occupied at home. 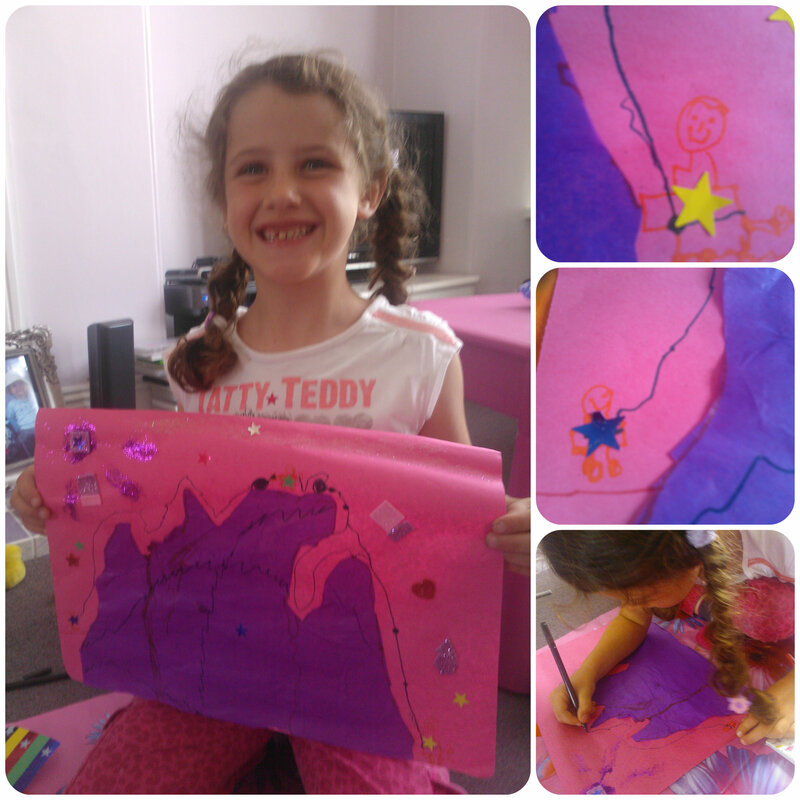 When Sainsbury’s offered to send us a selection of their Back to School stationary range including lots of art and craft goodies, I knew that would the perfect way to entertain my two when we are stuck at home or when it’s raining. 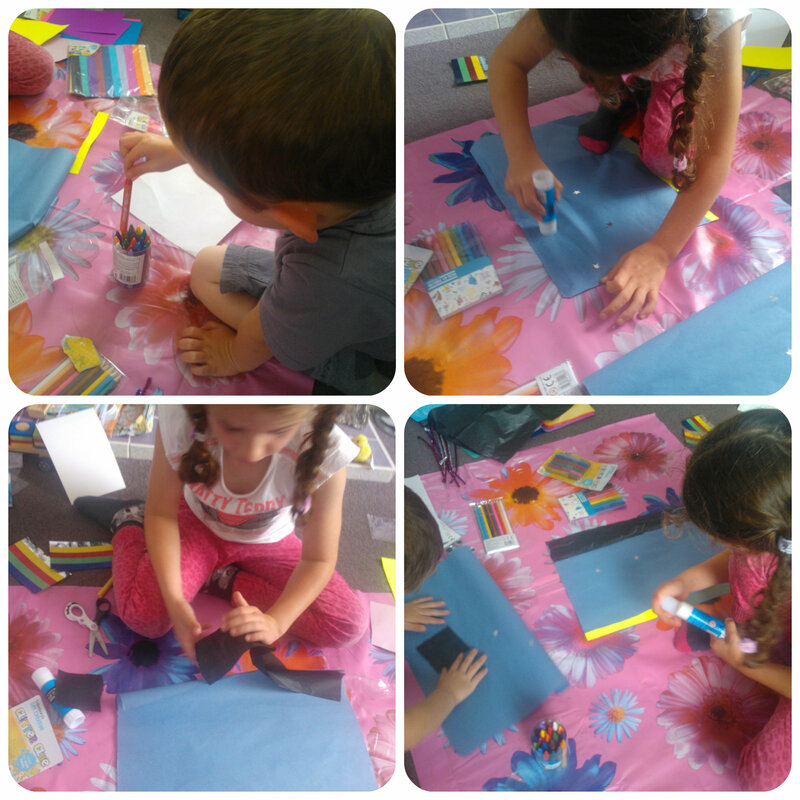 With a selection of coloured card, tissue paper, wiggly eyes, glitters, sequins, glue, stickers and pens, they couldn’t wait to get started. Miss M decided to create a picture inspired by our holiday with a beach scene at night with a dark sky and stars. 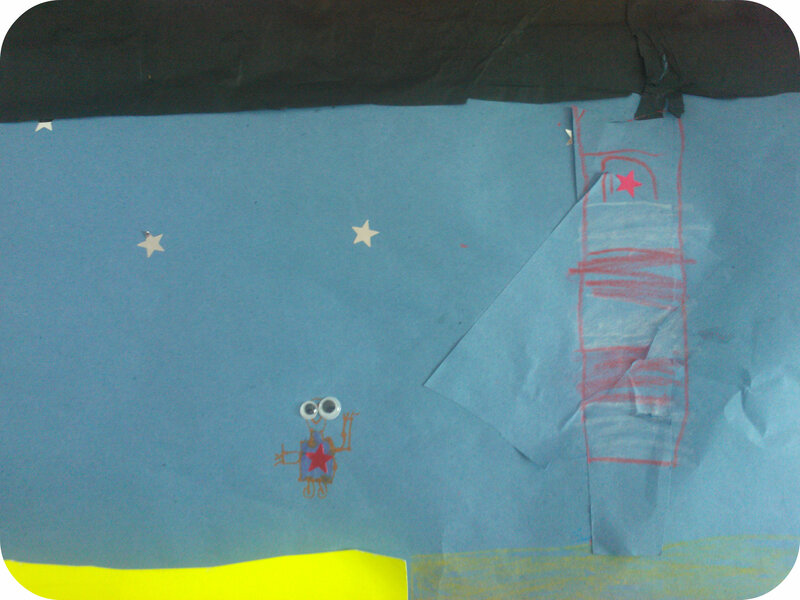 She also added a lighthouse and a little googly eyed person. Mister B decided to recreate the huge blue and purple jellyfish that we saw lying on the beach. He drew a blue outline and stuck on some googly eyes. 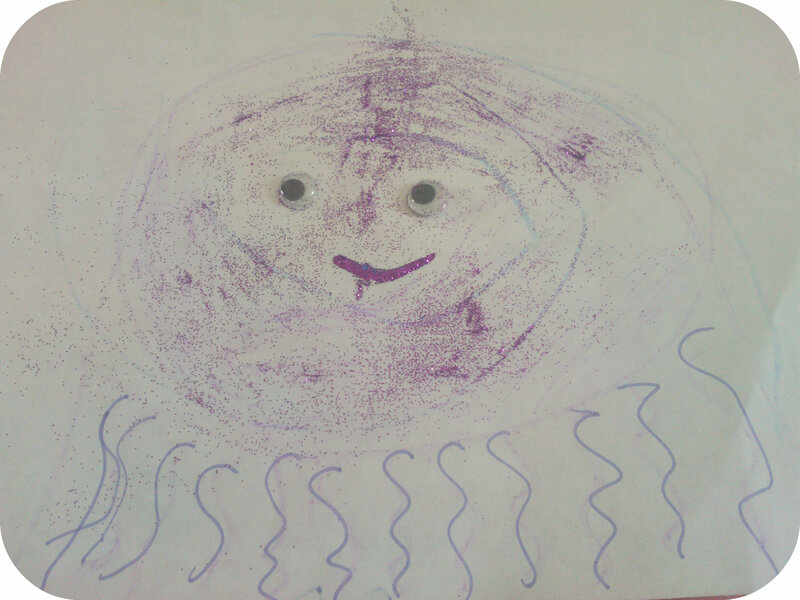 Then I helped him add some sparkly purple glitter to make it shine and then he drew some wiggly jellyfish legs! Miss M then got really creative and wanted to draw one her favourite activities – rock climbing!! She’s only had a go on the man made indoor rock climbing places but would love to one day take part in some outdoor rock climbing. She cut out a purple tissue paper rock and stuck it to the paper. She then created a sparkly purple sun in the corner of the paper. She then drew three little rock climbers, one each side of the cliff and one on top with all bundles of ropes. She gave each person a shiny coloured star sticker for their hard work and to say well done for their excellent rock climbing! A bundle of craft materials is a great way to get the children to be creative and also to get them sitting down concentrating just like they have to when they go back to school. They also really enjoy it and love showing everyone their finished pieces of art. With the new school term starting in just a few weeks, there are lots of things to thing about from uniform, stationery to getting your child focussed and ready for the new academic year. Being organised in the mornings is a great way to start the day and keep things calm and smooth running. Sainsbury’s have put together a Back to School list of 9 igenious ways to streamline the kids mornings routine – why not check it out? We were sent some Sainsburys craft goodies and voucher in return for this post.